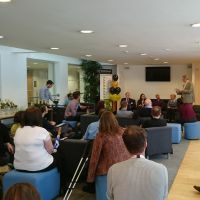 The Showcase was held on Thursday 7 May 2015. The 2015 Teaching and Learning Showcase was organised by the Teaching and Learning Unit of the Learning and Development Centre, the Library, and IATL. The main theme for the event was Warwick at 50: Teaching Then and Now. Through a focus on Graduate Capabilities, Extended Classrooms, and Global Students the Showcase charted where Warwick has come from, described where we are currently, and suggested where we can go in future in key areas of teaching and learning. 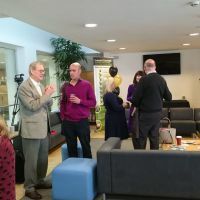 Our new and innovative professional association for all staff - the Warwick International Higher Education Academy - was launched by Professors Stuart Croft and Christina Hughes, including a celebration at lunch led by Ken Sloan, Registrar and Chief Operating Officer. View the full programme including abstracts of all the sessions, presentations, and links to video content where available. Also, you can find out more about forthcoming faculty-level teaching and learning showcases for Arts, Medicine, Science, and Social Science.